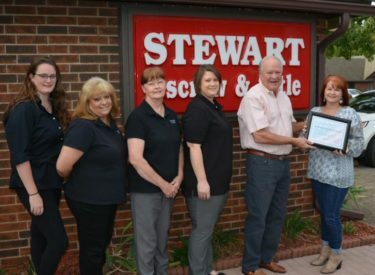 Stewart Escrow and Title is the Chamber’s Business Council October business partner of the month. Kerri Bowman with the Ponca City Business Council presents the award to owner Vernon Merrifield. He is shown with his staff Lyndall Godfrey, Shannon Robinson, Karen Smith and Holly Walenciak.